Trailblazer, renegade, and revolutionary describe Tony Hawk, the rebel athlete has become one of the sagest businessmen operating in the sports industry. A hyperactive child, Hawk was born to Frank and Nancy Hawk in San Diego, California. He began his love-affair with skateboarding at the tender age of eight years old. Seeking a productive way of dealing with their son’s hyperactivity, his parents actively encouraged skateboarding. They saw it as a healthy outlet for burning off his excess energy. His father even built his son a skateboard ramp in the back garden. Hawk, as a child, had a perfectionist streak and tended to rationalise his goals in a black-and-white manner. It was either success or failure there was no in-between. This extreme pressure that the young Hawk placed upon himself would torment him during his early development. This self-critical instinct is encapsulated by an incident that occurred during a baseball match. Tony was knocked out while batting for his team. This led him to running away and hiding in a ravine. His parents decided to psychologically evaluate their son and the tests revealed that he was of higher than average intelligence. As a skateboarder, Tony Hawk, with his tall height, was far from typical. If you were to picture the ideal body for a skateboarder it would hardly be a lanky 1.92 metre (six foot three inches) man with a relatively high centre of gravity. His unusual height would help to set him apart from his skateboarding fraternity. Hawk’s skateboarding skills started to capture people’s attention. He was signed by legendary skateboarder, Stacy Peralta and turned professional at the very young age of 14 as part of the famous skateboarding team, the Bones Brigade. Hawk became the National Skateboard Association World Champion for 12 years in-a-row. However, in the early 90’s skateboarding went into the doldrums and lost its appeal. It became very difficult for professional skateboarders to earn a living from the sport and many of them dropped out. Nevertheless, Tony Hawk kept skating. His perseverance paid off and towards the end of the 1990’s skateboarding become one of the biggest sports in the world. As one of the few professional skateboarders who was still very sharp, Hawk was placed in the perfect position to reap the rewards. He became one of the biggest names in sport. Topping a poll ahead of even the great basketball player, Michael Jordan, Tony Hawk was one of the most recognisable athletes in the world. One of Tony Hawk’s major accomplishments and one of his lasting legacies in skateboarding was the trick known as the ‘900’. Comprising of two-and-a-half revolutions or 900 degrees, Hawk successfully landed the trick after ten previous failures on the 27th of July, 1999, becoming the first person ever to do so. Even now in his forties, Hawk is still able to successful do a 900. Hawk is also a very sharp businessman who has been highly successful in commercialising the sport. He owns a highly successful line of skating clothes, sponsors his own team of professional skateboarders and has appeared in many films. Charismatic, intelligent and articulate are words usually associated with those in the show-business, certainly not the sports industry. It is undoubtedly this unique mix that is one of the chief reasons as to why Hawk has become so successful in such diverse areas. However, if there is one thing that Tony Hawk is synonymous with it is the Tony Hawk video game franchise. To date the video game series is worth over one billion dollars. Beginning in 1999, sixteen video games have so far been created. Hawk had previous experience setting up skateboarding tours. Nevertheless, one of the biggest and most successful has been the ‘Boom Boom Huckjam’ tour which he started in 2002. This exhibition tour features a variety of sports including skateboarding, BMX biking, and motocross. The tour moves right across the United States. Tony Hawk has also lent his name to a series of Six Flags theme park rides. Tony Hawk’s Big Spin is designed to simulate what it is like to skateboard. 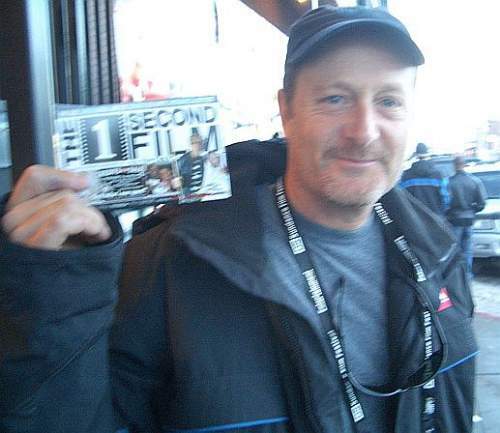 A pioneer of the skateboarding industry, he gave the sport not only credibility but financial legitimacy. For the first time skateboarders, if they were good enough, could earn very substantial amounts of money. Hawk brought skateboarding into the mainstream where it has resided ever since. 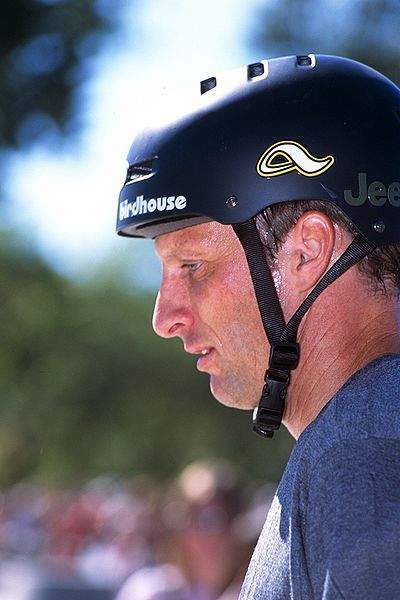 You might wish to check out Yellow Magpie’s Tony Hawk Quotes: The Skateboarder’s Way Of Life for further insight into Tony Hawk’s thoughts. You may also like to read Pistol Pete Maravich: The Ultimate Showman And Basketball’s First Star. Tony Hawk’s book is an excellent way to delve into the successful world that created. It charts his fragile early career and his rise to be one of the biggest sports stars in the world. You can obtain How Did I Get Here: The Ascent of an Unlikely CEO here from Amazon. For people living in Ireland or the United Kingdom, you can access: How Did I Get Here? : The Ascent of an Unlikely CEO from here. For Canada: How Did I Get Here: The Ascent of an Unlikely CEO . For Germany: How Did I Get Here? : The Ascent of an Unlikely CEO . For France: How Did I Get Here? The Ascent Of An Unlikely CEO .